Why Don’t All Governments Do It This Way? 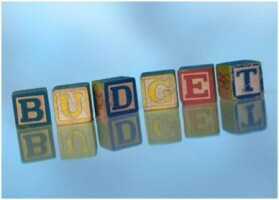 In many organizations, the budget preparation and management systems are controlled by the finance department or other finance professionals. Studies of this profession have confirmed that the work of McGregor, Hertzberg, Likert, Drucker, Peters, Pink, Collins and others has had little impact on the way accountants view human beings. Instead, the world view of accountants is firmly in the “traditional” world of Taylorism, where management must control lazy and wasteful employees. This cynical view of human nature is probably useful in the folks who account for money and audit our procedures for handling money. But it can be destructive when it comes to designing management systems. Providing easy-to-use, real-time financial reports to operating managers and training them in how to interpret them. Establishing high-level policies, such as the appropriate use of one-time resources (the rules should, however, be kept to an absolute minimum). Developing and monitoring early warning signals for the organization as a whole. Delegating financial management is critical in a well-managed organization, but it may be difficult for operating managers to see the forest for the trees. Advising operating managers on ways to cut costs and increase revenues. Matt Miller in The Tyranny of Dead Ideas argues, “From the halls of government to the executive suite, from the corner store to the factory floor, Americans are in the grip of a set of ideas that are not only dubious or dead wrong—they’re on a collision course with social and economic developments that are now irreversible.” Miller focuses on ‘dead ideas’ that work against solutions to broad economic and societal challenges, but the same observation can be made about management systems. Consider, for example, the public clamoring for pay-for-performance systems for teachers as the solution to the dismal state of U.S. secondary education. The assumption here is that teachers generally choose to be ineffective, but a financial reward is all it takes for them to choose to be effective. This Pavlovian view of reward and punishment as the primary driver of quality work has been refuted by decades of research on work motivation, but it is still widely held by the public in general, and many of the elected officials who represent them. By the same token, the Theory X assumption that employees, if left to their own devices, will tend to be lazy and stupid (and unethical) appears to be a popular belief, even if citizens would object to these descriptions being applied to them. Indeed, the trends in government finance that have been strongly supported by voters are completely consistent with a Theory X philosophy. These include increased restrictions applied to the use of taxes and other revenue sources, a shift in taxes and service provision from general purpose governments to special purpose districts and the creation of internal auditor positions (sometimes directly elected). In this environment, delegating budget authority to operating managers, and giving them more authority (and responsibility) over their financial resources would seem to be having the fox guard the henhouse. The waste and abuse that, according to popular political discourse, is so rampant in government must be due to the profligate spending of operating managers and their employees. The possibility that waste, where it does exist, might be due to the silly rules and useless procedures that managers are subjected to would never occur to the average person in the street. In our representative democracy, it is no accident that elected officials often mirror the beliefs and biases of the public at large. If gaining results by relinquishing control seems difficult for the “control freak” CEOs (even if they know, intellectually that it’s the right thing to do), how much more difficult it is to swallow by members of elected governing boards. A Million Flies Can’t be Wrong? For organizations interested in adopting a Theory Y budgeting system, adopting and sustaining one might thus appear to be an uphill battle. But we should not expect good management (and an evidence-based understanding of human relations) is the natural state of organizations (see Duncan Watts, Everything is Obvious: Why Common Sense Fails Us). Just as many aspects of our complex human civilization take effort to work against the second law of thermodynamics; it takes effort to manage well. The point is the fact that a relatively small number of governments have adopted elements of Theory Y budgeting is not evidence that it is ineffective or represents poor financial management. It may, instead, reflect the tyranny of the dead ideas of Taylorism and a Theory X philosophy of management. Author: Scott Lazenby is the city manager for the City of Lake Oswego (Oregon) and is an adjunct associate professor at Portland State University. He can be reached at [email protected].